Hi there, my darlings! 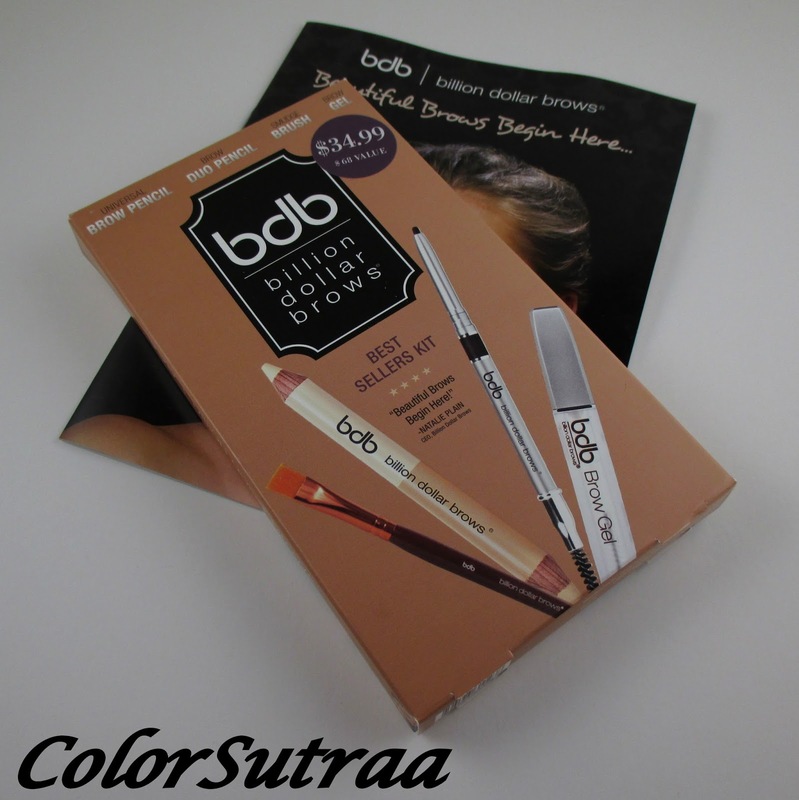 Today, I have a review of a product which is not only new but one that I have purposefully shied away from--a brow kit! As long as I can remember, I've had fairly thick eyebrows, like most of my fellow Indian women, and other than REGULAR threading to maintain their shape, I've left them well enough alone. But, over the years, I've noticed that all that threading led to a few ...bare spots. Sigh. There. I said it. So, naturally, when I had the opportunity to review the Billion Dollar Brows Best Sellers kit, I was really quite excited! 1. Apply CONCEALER in quick strokes to hide any imprefections or blemishes. 2. 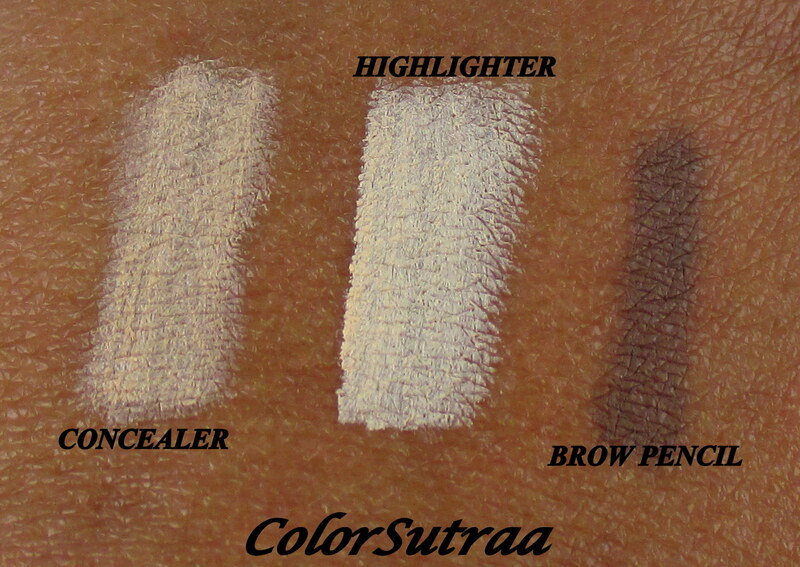 Apply HIGHLIGHTER on just the brow bone to accentuate and brighten your eyes. 3. 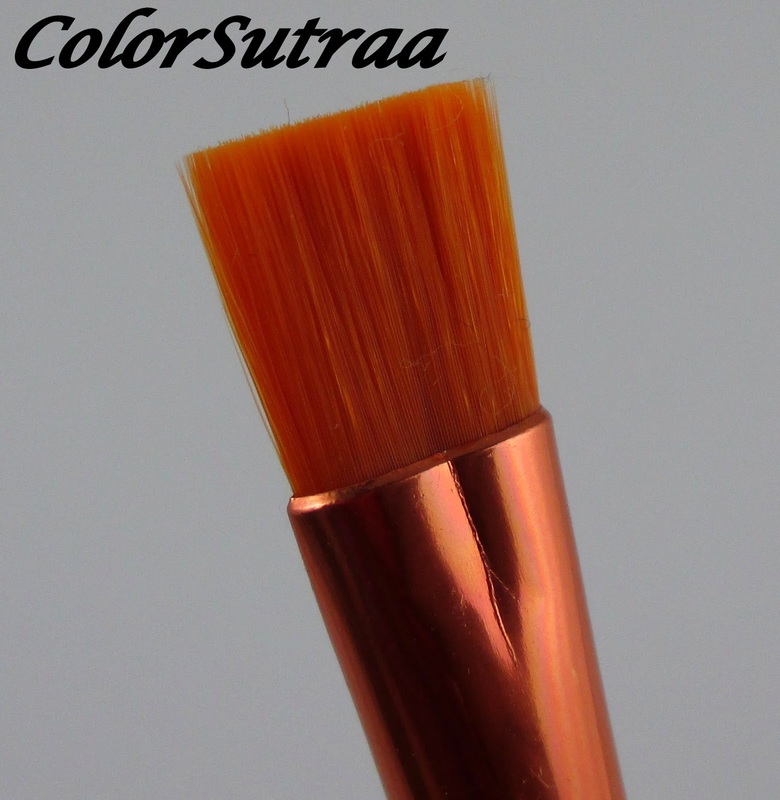 Use the SMUDGE BRUSH to blend both in. 4. Using quick, upward strokes in the direction of hair growth, fill in your brows with the BROW PENCIL to the shape you desire. 5. 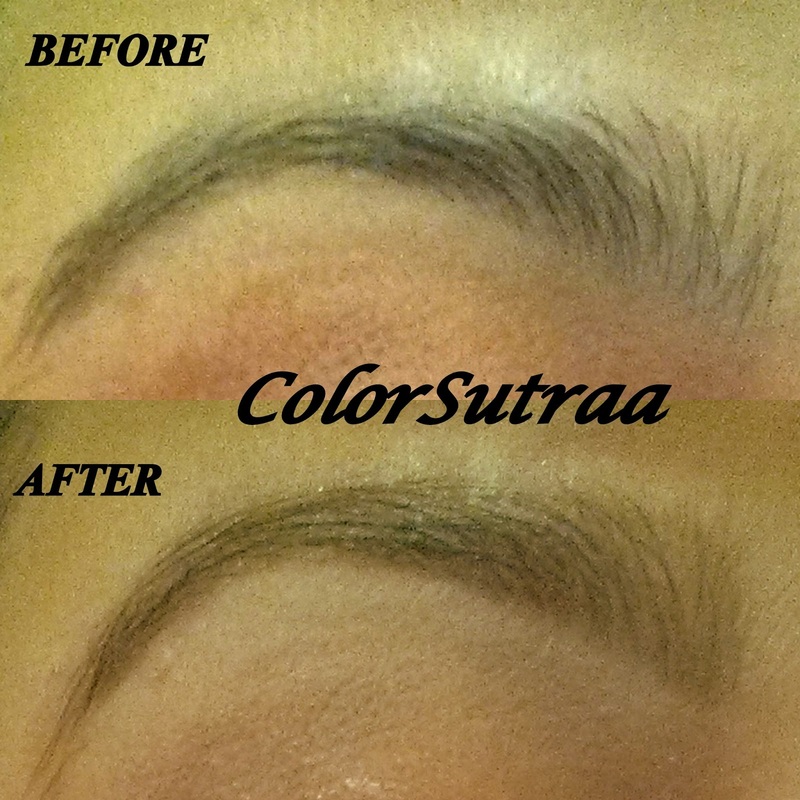 Use the BLENDING WAND to create a more natural, even look by just sweeping across the brows. 6. 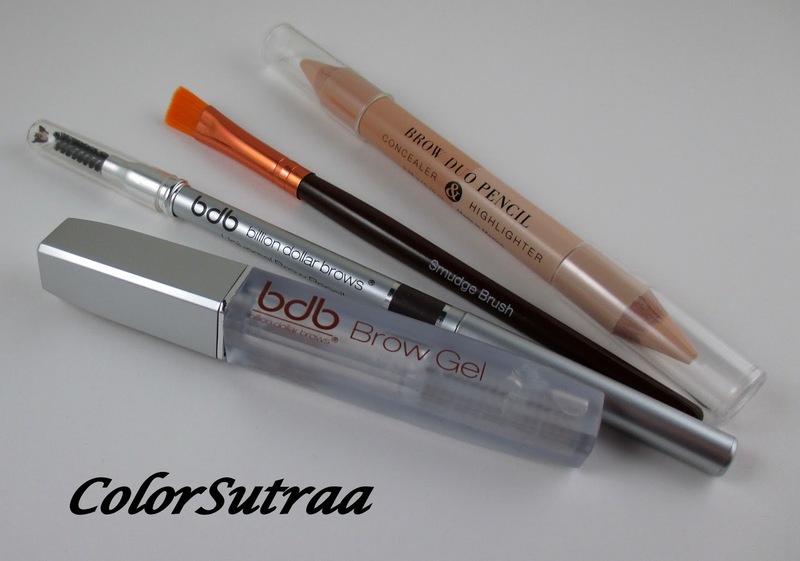 Use the BROW GEL to sculpt and set your brows. 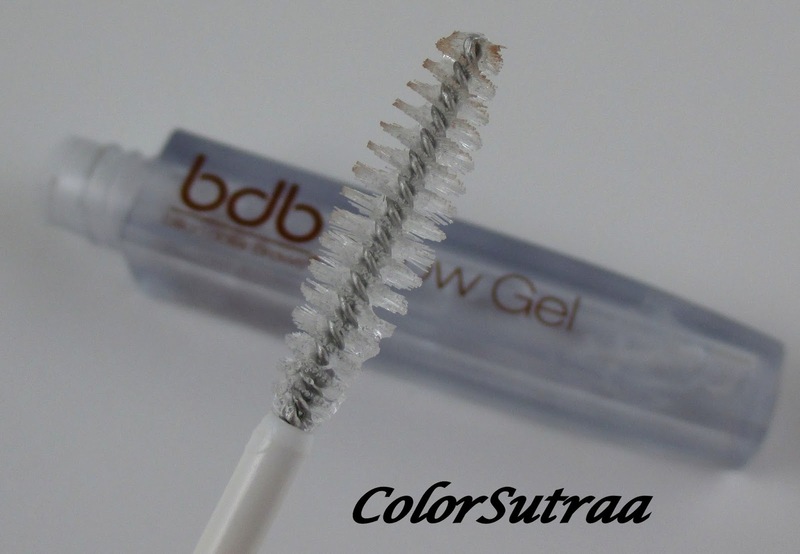 IMPRESSIONS : I ABSOLUTELY love this product and I'm kicking myself for not looking into brow products sooner! This handy little kit has absolutely everything you need to get cleaner, more defined brows without them looking too overdone. The application process is a breeze--if I, a clumsy eyebrow novice, could do it, so can you! Just a few quick tips though : a little goes a long way with the HIGHLIGHTER and don't be shy with the BROW GEL. Take a look at my results! So there you have it, my darlings! If you would like to pick up your very own Billion Dollar Brows kit, you can find it EXCLUSIVELY at Kohl's HERE for the price of $34.99. Go get this! You won't regret it!